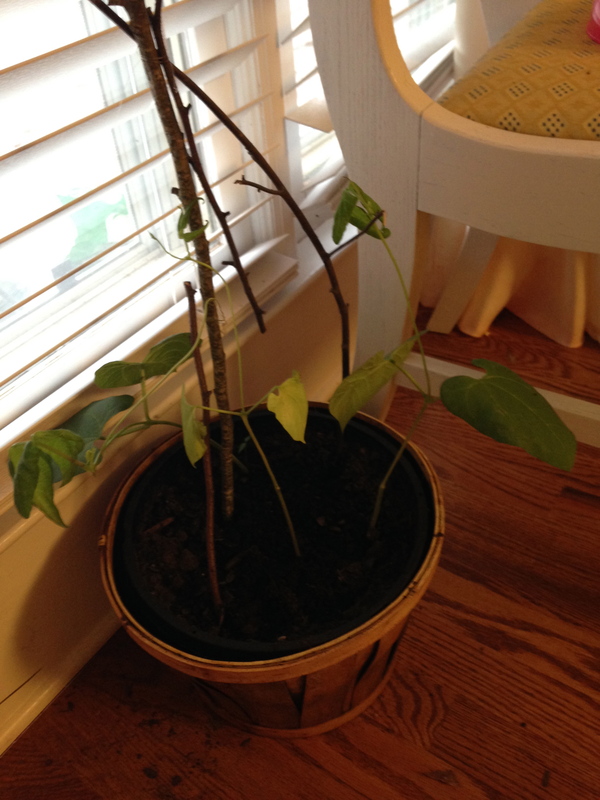 I now understand why it’s not recommended that you start green beans indoors – they grow fast. 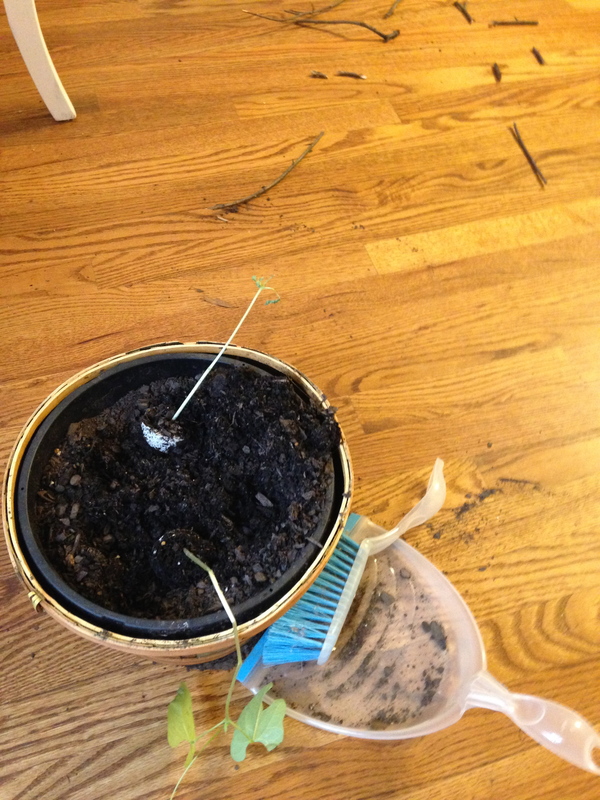 We used two large pots, with three plants per pot. 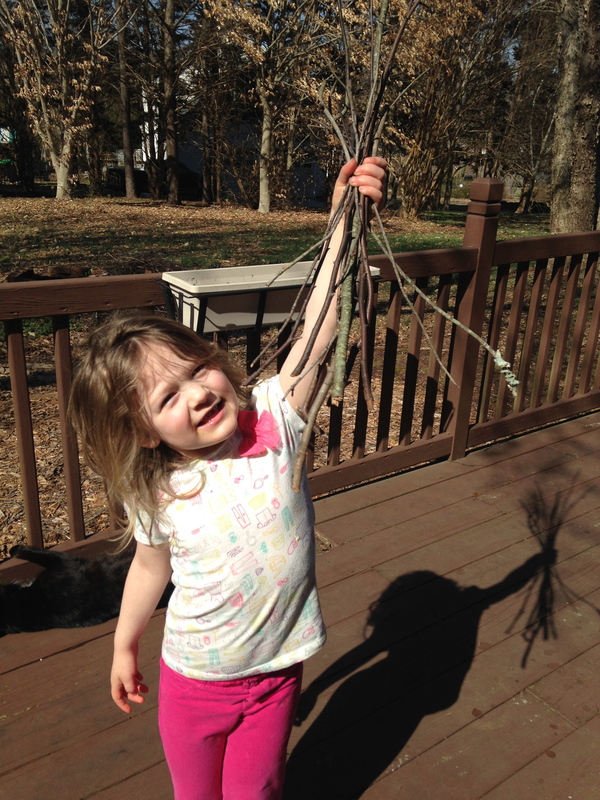 My trusty side kick helped me collect sticks to create a makeshift trellis. 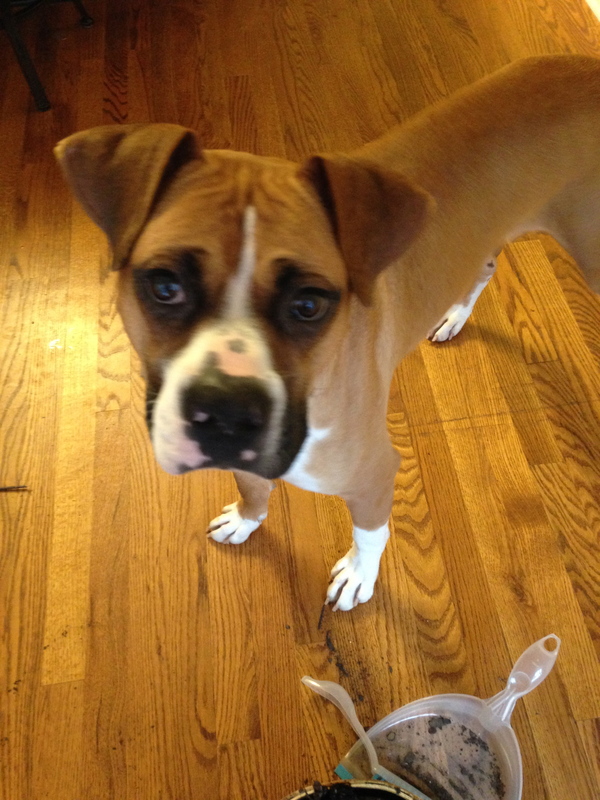 We adopted this sweet (but very curious) guy from Blue Ridge Boxer Rescue (quick plug – AWESOME organization!). 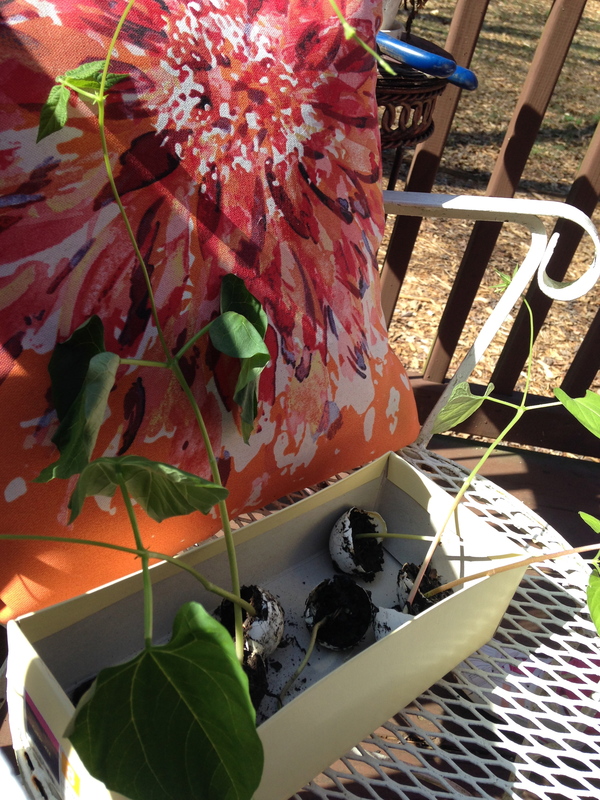 The beans did not fair so well. 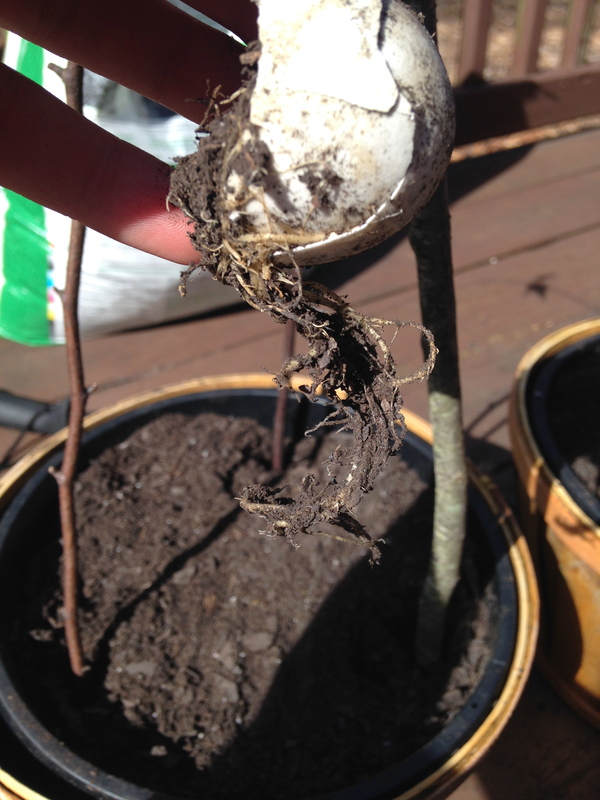 But, we now have an fantastic new family member, and plenty more seeds to start plants in the actual garden.